It is a little over a year since we first met the Binwican family. Mum, along with three of her six children had cataract in both eyes. Linking arms, they would shuffle around in a group led by the eldest daughter – it was the only way they could have any mobility. It was the tail end of our February 2013 surgical visit when they first arrived. With no options of acquiring the custom lenses required, the promise was made to return later in 2013. You can watch the video here from last year here. Yesterday, the Binwican family returned to the theatre complex at Adventist Hospital Santiago City (AHSC). 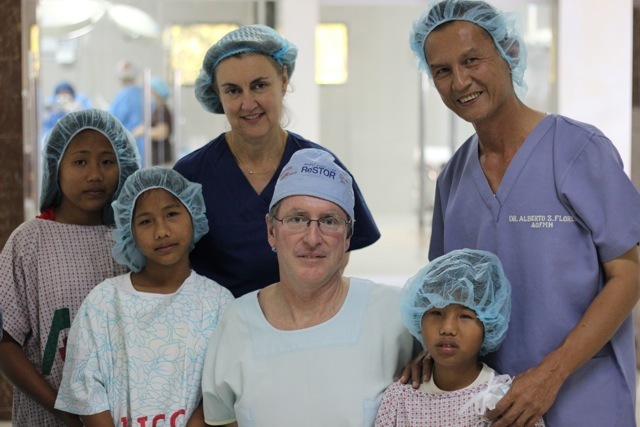 Not for surgery, but to say thank you to Dr. Geoffrey Painter and Kerrie Legg who had made an extraordinary mercy dash back to the Philippines in August specifically to make good on their promise to return. 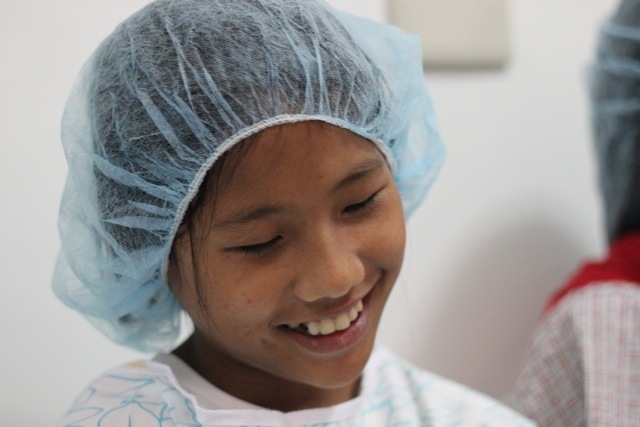 Eight months after surgery, and life for the Binwican’s is looking far brighter. All have significant improvement in their eyesight, although their results vary. 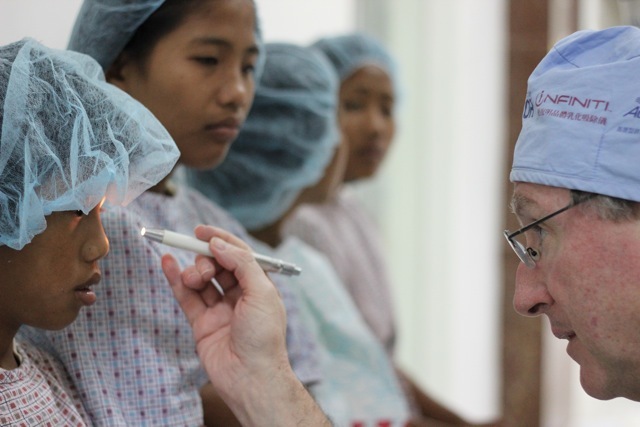 Surgery was successful; however the length of time they were blind has its effects on how well vision can be restored, especially in children. I smiled as I watched them walk the corridors of the hospital, even reading small characters on a mobile phone, and taking in everything they could see. The children are now at school also, and starting to live life as they should. The other star of the Class of 2013 was Herbi. While he has not returned to see us, the AHSC staff were pleased to let us know how well he is. In fact, he is currently top of his class at school. What an amazing transformation! Who knows where they will be ten years from now!